Are personal submarines the vehicles of the future? 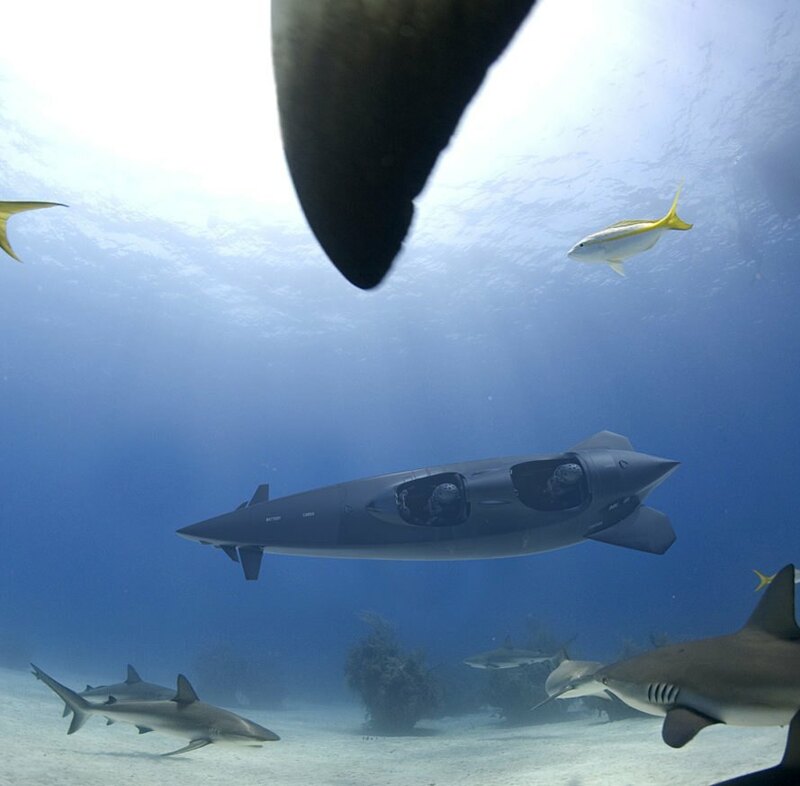 While Ortega Submersibles' electric, open-top submarines are designed for scientists and divers, their sleek submersibles could one day ferry us across the seas. Ortega's latest submersible, the Mk.1C, allows three divers to zoom around below the surface of the ocean. Co-founders Daan Pol and Filip Jonker dreamed of adventure, so they decided to dive into the personal submersible business. They’ve designed three open-top submarines that seat one, two, or three people. They say their submarines are the safest, fastest, and most versatile of their kind on Earth. The company even designed their own battery, called the Hancell 378i. 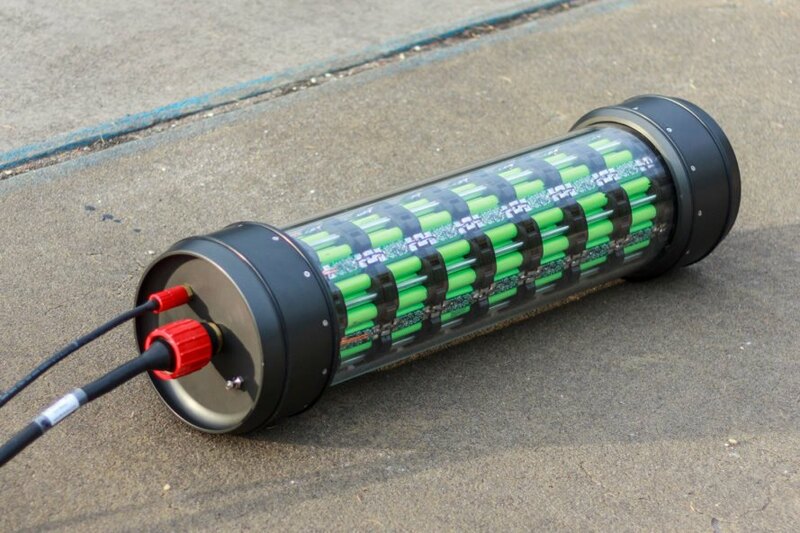 The Mk.1C sub uses four of these batteries to power two electric motors. The Mk.1C has a surface speed of 10.4 miles per hour (mph) and jets around at 12.7 mph underwater. It has a range of 80 nautical miles, and its design ensures divers can spend more time underwater since the vehicle can transport people down to low depths rapidly. A navigation system, an on-board breathing apparatus, and 250 liter (66 gallon) cargo space are included on the submersible. The design is even ergonomic and “of the highest quality in modern Dutch engineering” according to the company. Riders must wear diving gear (including oxygen tanks and breathing apparatuses) while in Ortega’s submersibles. But the open-top design allows them to climb out and explore their surroundings easily. Ortega Submersibles envisions people like underwater archaeologists or marine biologists utilizing their submarines. They describe the Mk.1C as “a luxurious yet accessible maritime commodity.” The company does not say how much their submarines cost on their website, but people serious about buying the product can get in touch via their contact page. The Mk.1C can transport three divers. 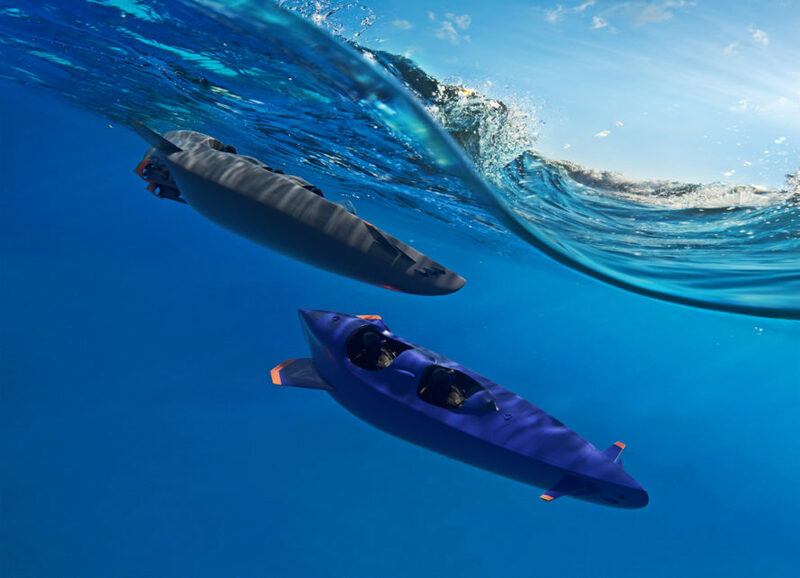 Ortega Submersibles has designed submarines for one, two, or three riders. Daan Pol and Filip Jonker started Ortega Submersibles. They say their submersibles are the fastest and the safest of their kind on Earth. The submersibles are aimed at scientists or divers. The company even designed their own battery, the Hancell 378i. The Mk.1C can jet around at 12.7 miles per hour underwater.